There is a lot of internet on the internet which is blocked from the country's countries. Now if you want to access those block websites that are blocked in your country, then how can you use those websites? You can use VPN. You can access any block website easily using a VPN, if you sit at home, in this post, I will tell you about Virtual Private Network. How can you exchange your IP cope with by the usage of it and effortlessly get entry to any block web sites? vpn's full form is virtual private network, it is a destination private network that allows any user to access this network anytime and anywhere in the world, for this, you can get an IP address from the network company and Provides log usernames and passwords that allow you to access this network from anywhere in the world. You can also get the VPN network in free or you can also buy this network by paying money. If you use a free VPN, then there is some limit to it, and if you buy a VPN, then you will find lots of features. Free vpn does not require you to pay a few cash, which means whatever characteristic you get in it you could use it without spending a dime. If your data is highly confidential then it is not right to use free VPN as the free VPN provider can share your data with other people for your profits. If you buy a VPN service, then your data is completely safe. 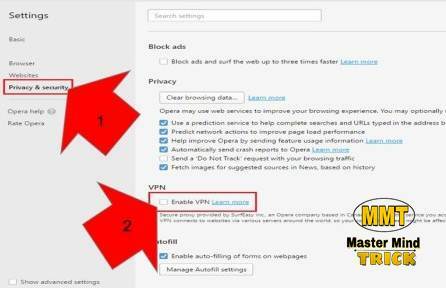 By the way, you can use VPN Manually in the computer but for that you will need an IP address and user name and password that you can get in the internet free or you can buy it but here I will tell you the best method, in which case you have been provided a free VPN by opera company, which is absolutely safe and best and is absolutely free, so let's learn. 1. First of all, you have to install Opera Developer software on your computer or laptop (in which you want to use VPN). You can download this software in the following link and it is free. 2. After installing the software, click on it in the side menu of the above menu and then click on Settings in Settings. 3. 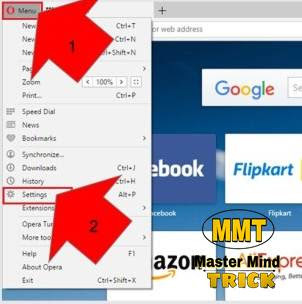 Now in the settings you have to click on Privacy & Security and then you have to teak VPN enabled in the option of VPN, after that your opera browser will be activated in VPN enabled. After this, Block can access the website. 1. Install the TouchVPN app on your smartphone first, you can install this app by clicking download below. 2. After installing it, you have to open the app. You have to select from the location and then click on connect. 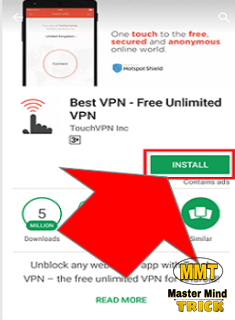 As soon as you click connect, you will activate VPN on your phone. VPN is a virtual private network That helps you to encrypt your data. With the help of VPN you can access any block website from anywhere and with the help of VPN you can change your IP address Can be accessed by any website, i.e. the process is a safe process and its use is mostly done in business, such as the website of the school, such as the school college website, the large company etc. Training is the VPN you can use in each cell computer systems.